In this beautiful photograph by Alexander Semenov (underwater photographer extraordinaire), we see Aurelia aurita, commonly known as the moon jelly. It is translucent and typically ranges between 5-40 cm in diameter. 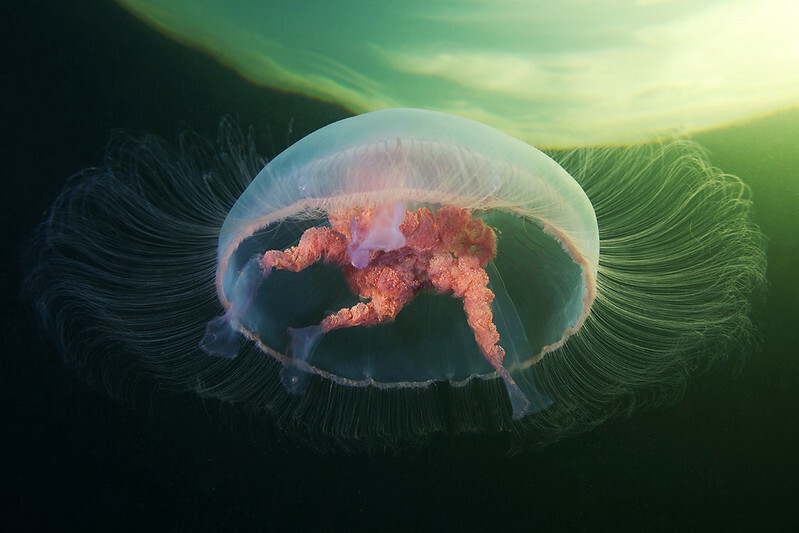 If you’re into underwater photography you should definitely check out more of Semenov’s work. You can find him active on Flickr, as well as his personal webiste Clione.ru. For prints, check out his page on Artflakes.